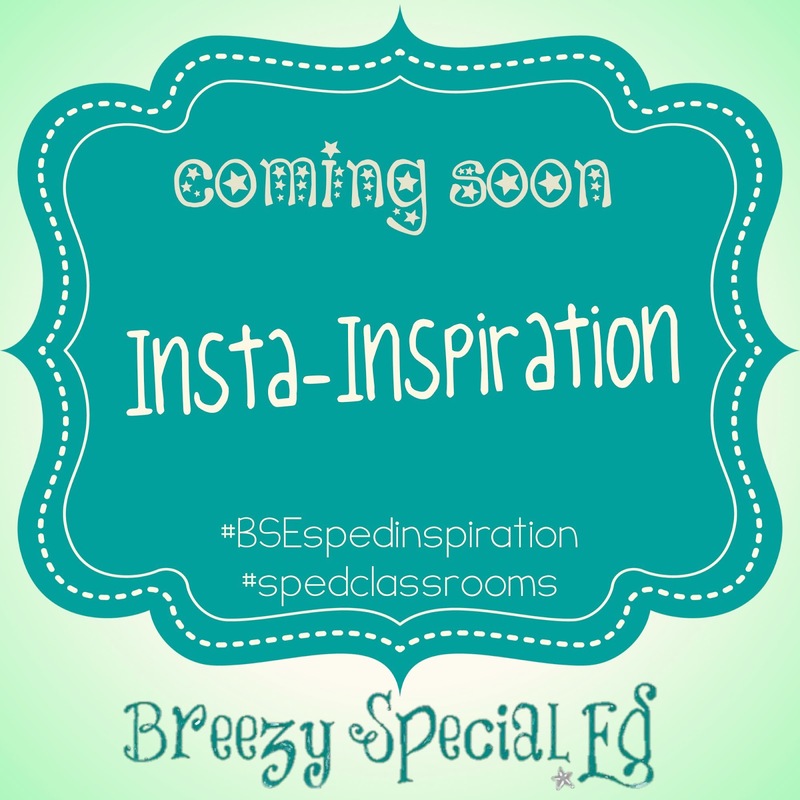 Starting next week, I'm calling all special education teachers (and SLPs) to inspire and be inspired by sharing posts of their classrooms through Instagram. 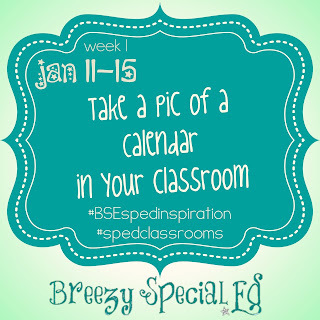 Throughout each week you can share pictures related to that weeks topic using the hashtags #BSEspedinspiration and #spedclassrooms. Sometimes it's easy to feel alone in special ed, especially if you are the only (or one of the few) classrooms in your school. 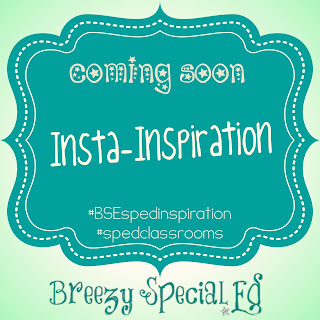 I hope this will be a great way for us to connect and share ideas among our fellow sped teachers! Teachers can then search those hashtags to checkout other classrooms and maybe even get new ideas for their classroom as well. (This should totally count as professional development IMHO!) I will post some of my favorites in a weekly round-up on Sundays on my blog for those of you who don't have Instagram. To get you thinking, it could be a picture of your classroom calendar, your planner, your schedule calendar, etc. I know everyone has something they can share on this topic! By sharing with the hashtags above, you are giving permission for me to repost and share on my blog. Remember to respect your student's privacy when posting.